Feb - 21 | By: zikri | No comments. 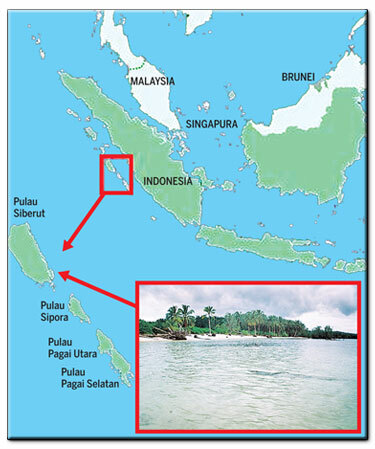 The Mentawai Islands off the coast of West Sumatra offer some of the best waves to be surfed on the planet. 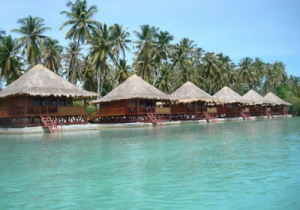 Five surf resorts and one surf camp are located in the northern region closest to Padang while Macaronis Resort is the only surf resort operational in the southern region located central to Thunders (Mentawais most consistent wave) and Lances Right (one of the world’s best right hand tubes). Macaronis Surf Resort is situated over picturesque Silabu salt water lagoon, just accross the bay from the legendary Macaronis wave. Tidal movement keeps the lagoon clean and cool to swim in, with an abundance of marine life viewable from your villa balcony, and magnificent sunsets that occure over the lagoon at the end of each day. Macaronis wave is the Mentawais most consistent and perfect wave breaking perfectly in all tides and ridable in almost any wind conditions. It’s no wonder it has previously been officially voted the ‘funnest wave to surf in the world’. Accommodation at Macaronis Surf Resort is in family sized thatched villas situated over magnificent Silabu salt water lagoon. Swim from your villa balcony or just sit back, read a book and enjoy the breeze and magnificent surroundings. Or indoors chill out in air-conditioned comfort and catch up on world news or International sporting events shown on Sat TV, surf the net using the wireless hot spot internet connection (speed up to 512kbps) or check Macas wave shown live on TV, meaning you don’t even have to get out of bed to check the surf !! Macaronis is surfable on large or small swells, in all tides and almost any wind conditions. It has a reputation as being the best on-shore wave to surf in the world and is popular with both intermediate and experienced surfers. On large swells Macas can offer some of the most epic tube riding conditions around and in smaller swells it is a perfectly shaped peeling left hander, great for all levels of surfing. 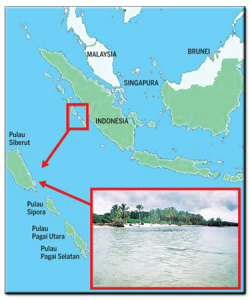 More info about New Sikuai Island Resort, please click here.